It was March 2009 and I’d just moved to Melbourne to take up positions as a staff consultant in pain medicine and anaesthesia and as Director of Pain Services at The Alfred Hospital. I felt both privileged and excited. While getting to know the complexities of the Australian health services I noticed that the pain epidemic that the rest of the world was experiencing was also occurring here. In Australia the figures of those suffering pain and not having access to appropriate treatment are astounding! One in five Australians - yes, 20% of us - will suffer chronic pain at some point in our lives, including children and adolescents. Even more astounding is that up to 80% of people suffering chronic pain people will miss out on treatment that could improve their health and quality of life. This problem costs the Australian economy $34 billion/year. I spent a few years getting to know the lay of the land and in this time I met Dr Tim Hucker, a fellow pain specialist and anaesthetist, who was also working at The Alfred Hospital. 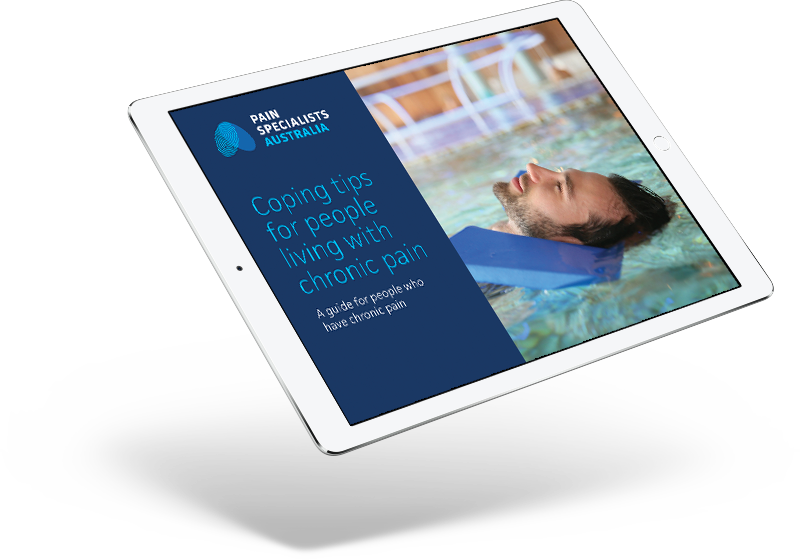 We’d spoken often about the daily challenges that people in chronic pain face - challenges like sceptical friends, family, and employers; doctors with little or no training in pain-management; and long waits of up to a year to see specialists. We also discussed the negative effect that chronic pain has on quality of life and its difficulty to treat in some people. We noticed that were no clinics offering a truly complete and holistic approach to managing pain and focusing on the patient. Tim and I shared ideals and ethics. We each had unique and complementary strengths, and worked well together. We were both dedicated to reducing pain and suffering while maintaining the focus on the person in pain and their family. We aimed never to forget that it was not just a pain condition we were treating, but a real person in pain. We were in the perfect position to do something significant for chronic pain. We had taken the first step in setting up our Victoria Pain Specialists pain relief clinic. Our aim was simple: Excellence in Personalised Pain Management. The care we provided would be holistic, multidisciplinary and complete, and it would include cutting edge pain interventional technology, drawing from our extensive experience as anaesthetists and our understanding of the spinal and related structures. In 2012, we rented a consulting room at the Epworth Hospital for two days a week. We really did start with one patient at a time. In our free time we were learning how to set up and run a world-class medical practice. We saw two patients the first day, and ever since then we haven’t looked back. About two months after we started, we were approached by a few other pain clinics in Melbourne to see if we wanted to join them. It was a great opportunity to expand more quickly than we had ever imagined and would relieve some of the stress that was involved in setting up and running our own pain clinic. We had some thinking to do. We were interested in setting up a new type of clinic, where we would work closely with each another in our team and with our patients and their families. Our approach would be holistic and multidisciplinary, focusing on the patient and not just the pain condition. We saw that patients were increasingly more informed about their conditions thanks to the Internet and were demanding more from their doctors, especially when it came to managing their pain quickly and effectively. For us a multidisciplinary approach was the cornerstone of management. Patients would be given the best treatment options available and, most importantly, the time and resources to make the best-informed decision about treatment. Our aim was 'the right treatment, for the right person, at the right time', so we decided to set up our own clinic. To this day, we have treated close to 2000 people in pain. "Treating pain is not like having your appendix removed, where a surgeon takes it out and it’s done. Pain is impossible to see, hard to measure and sometimes hard to treat." From day one in the practice it was important to us that we listened to our patients. People often come to us angry, frustrated and fed up with their pain, sometimes even sceptical about what we can do for them. They’ve either been living with pain for a long time or had failed many past treatments or both. We focused on providing our patients with an individualised treatment plan, supported by our multidisciplinary team if needed, and worked with them to tackle their pain. This focus really enabled us to give our patients the very best care we could offer. You’ve got to listen to your patients and find out the best treatment pathways for each individual patient. Our patient-centric focus has meant we’ve been able to evolve organically, encompassing both our needs as a professional clinic along with the growing needs of our patients. In the early days, we still weren’t expecting how fast we would grow. Clearly we were doing something right. Meanwhile we were approached by Dr. Simon Cohen, a highly experienced pain specialist and paediatrician. He was looking to grow as a pain expert, and had the same values, ideas and ethics as we had. He wanted to be a part of what we were doing and we wanted him to join us. A team focus has always been crucial to Victoria Pain Specialists' success, so we knew Simon would fit in. And he did. We want people who are dynamic, bright and motivated, with people skills and something extra. Simon has all of this and more! Simon is truly unique being both an adult pain specialist as well as a paediatric pain specialist, and with a particular passion for helping families treat their children’s pain, an area of expertise that would grow our team invaluably. He was perfect. So in 2014 Simon joined us. His first consulting day was on the 12th June 2014. 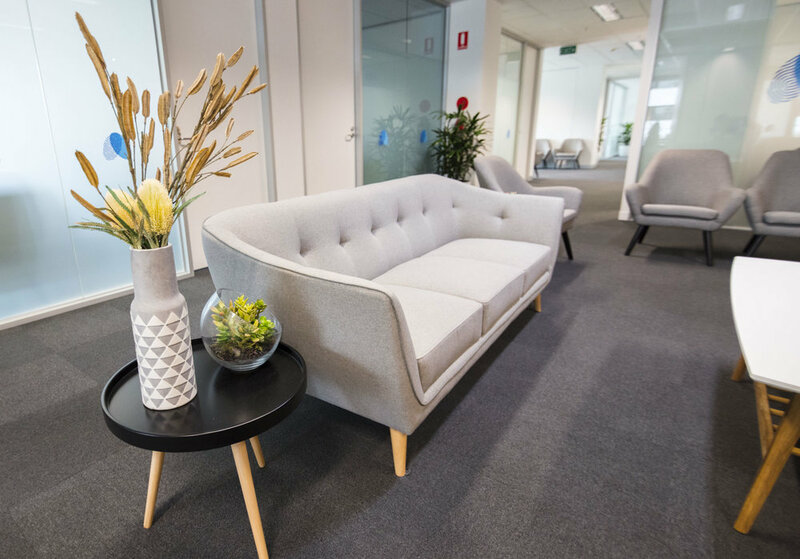 In mid-2014 it was clear that we were rapidly running out of space at our small consulting rooms in East Melbourne. Again we faced some big decisions. In 2014 we moved into our own space at 27 Erin St, Richmond. This has allowed the team to come together and really focus on our patients. We now had the flexibility to make the space our own and tailor it to our patient’s needs. Our patients were happier with the move. We were also uniquely suited to give additional support to the Epworth Hospitals, who’s many specialists we were developing working relationships with. The list of people that needed our expert services keeps growing. We had a lead pain nurse join our practice and the role has been invaluable is setting up clinical pathways and supporting each and every patient. Our patients love the time and support a pain nurse provides. Like-minded people continued to approach us. Next was Tim Roocke, occupational therapist who joined our team on the 6th November 2014. Young and dynamic, his aim is getting our patients functioning again and reaching their goals that seemed unreachable. Lester Jones, a physiotherapist with a wealth of experience in the world of pain medicine, joined us on the 16th February 2015. He uses his abundance of experience to get patients fitter and stronger. We have had a number of clinical psychologists join our team doing some wonderful things for the people they treat, including Caroline Newell, our senior practice nurse. Supporting us all is a team of wonderful administration staff, who do a fantastic job of supporting our patients and the growing team. 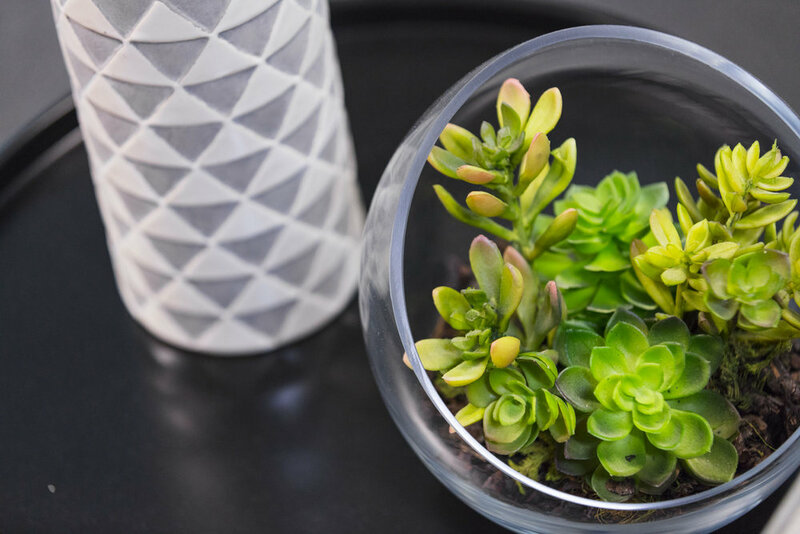 They work behind the scenes on special projects to continue driving our practice from strength to strength. We meet regularly as a team so that we can plan and grow with the increasing number of patients that we are treating. Our new fingerprint logo reflects the individual's unique experience of pain. Over the course of 2017 as our practice grew, we had outgrown the space and we wanted the new location to be designed from the ground up with our patients and families in mind. 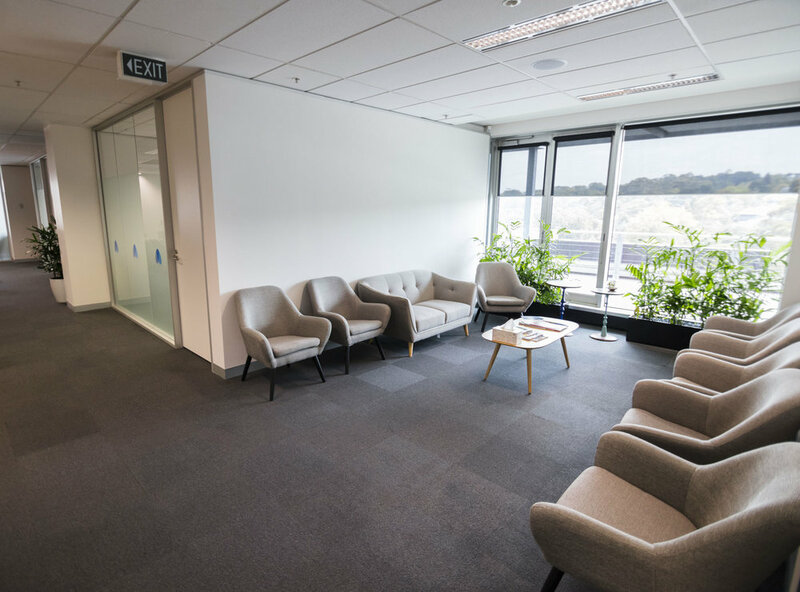 On 20 February 2018 we relocated to Level 4, 600 Victoria St Richmond. With the location change, we also wanted to take the opportunity to refresh our brand and change our name – to Pain Specialists Australia. We wanted something that more accurately represented our commitment to the Australian chronic pain sufferers. It also reflects the patients that we see, and who have come to see us from every state in Australia. We’re always looking for great people to join our team. If you have someone in mind, or have some interest yourself, find out if you are the perfect fit. Our belief is that no one should suffer from pain. Our mission is to provide long-term pain relief and to improve the quality of life for individuals, their families and the greater community. We have made pain the centre of our world because we know it's the centre of yours. We do this using advanced, tailored and cutting edge medical care delivered in a compassionate manner. We approach pain management from multiple avenues simultaneously and using a team of experts each with their own areas of expertise working together as a unit when required. We understand that effective pain management is a unique process and can sometimes be a long journey for some people and their families. We aim to provide care good enough for our own family and friends. As a team we strive for excellence. We are proactive and each take responsibility for our actions. We have open lines of communication and importantly, we enjoy working with each other and love the work that we do. We continue to grow stronger and more effective as a team. We recognise that pain affects your ability to do the things that make you who you are. We want to offer you the best possible treatment outcomes with a supportive team who are there to help you through every stage. That has and always will be the main focus of Pain Specialists Australia (formerly Victoria Pain Specialists).